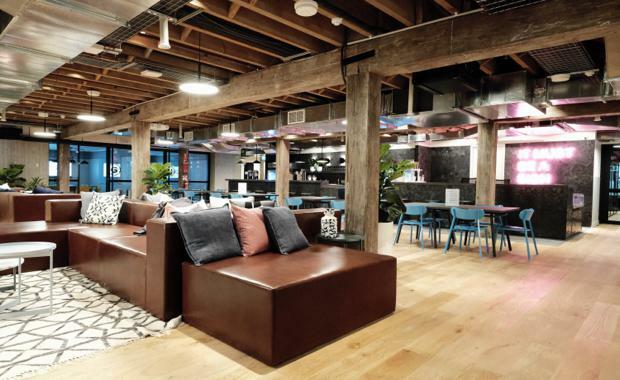 Following the opening of it first Sydney location in October, New York-based company WeWork has followed on with the opening of its second Sydney location in Pyrmont. WeWork Pyrmont is located at 100 Harris Street in a former wool store, presenting a unique opportunity for a WeWork space. The building itself is more than 100 years old, but the exterior of the building retains its original form, and huge original timber beams and columns have been retained throughout the space. The interior design follows the sentiment of celebrating the warehouse building, by exposing the original features wherever possible and choosing finishes that complement the industrial-warehouse style of the building, such as mild steel cladding and cement fibre sheeting. WeWork has brought in interesting design elements and art to bring the space to life, including commissioning local mural artist Georgia Hill to deliver a 15 metre-long mural which can be seen on entry to the main lounge as you walk through a tunnel of LED lit mesh screens. Also included are 15 silk screen works by Sydney artist Kate Banazi in collaboration with Diego Berjon. Pops of electric colour are used throughout the lounge areas, conference rooms, printer nooks and bathrooms to complement the neutral tones of concrete and steel finishes that are sympathetic to the warehouse style. WeWork Pyrmont will be home to 1,700 new members and offers a variety of larger spaces to cater to the needs of mid-to-larger sized companies, including a variety of meeting rooms for members. Members will be well-catered for with a mother’s room, wellness space, balconies and gardens and car spaces included in the dog friendly, wifi connected layout. 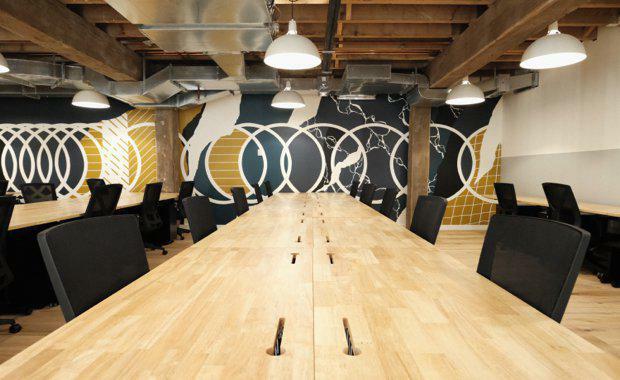 WeWork Pyrmont members will also be granted access to more than 100 WeWork locations worldwide from Los Angeles to New York; Shanghai to Seoul; and London to Berlin, as well as a digital network with 75,000 members around the globe. 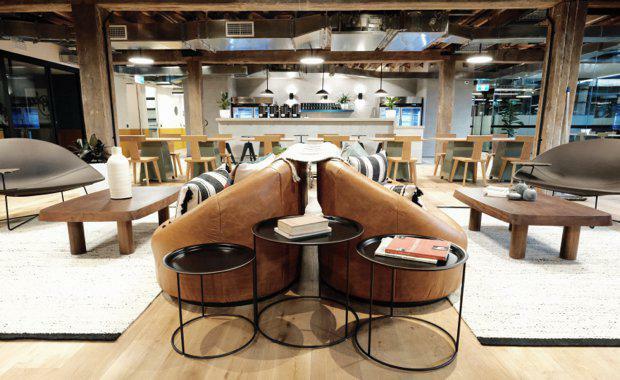 Pyrmont's building, like every other WeWork location, is staffed by a community team that act as office managers, event planners, and business matchmakers. Apart from general supervision of the facilities to ensure things run smoothly, it will be their job to assist members in making connections and event planning. WeWork currently has around 70,000 members, located in over 100 physical locations in more than 30 cities and 12 countries around the world.